Captain Bob Yeomans has been at the helm of many boats in his lifetime. 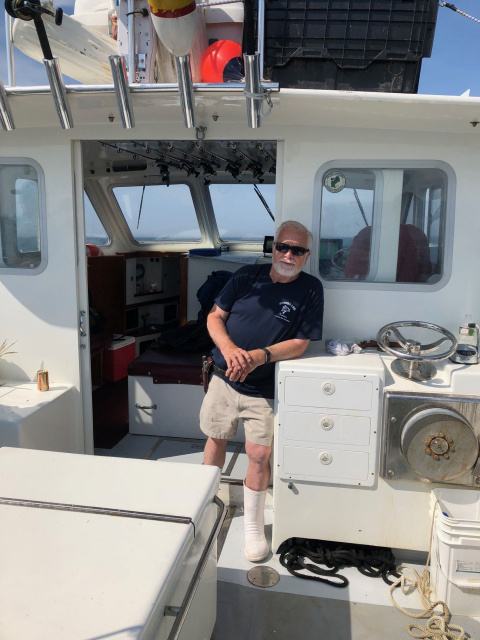 Having sold the Erica Lee II to downsize his operation, you will now find him aboard the F/V Sydney Lee - a brand new 34' Southshore- downeast boat - completed by Bob and his construction "team". The Sydney Lee is the 4th boat that Bob has constructed from the hull up - His previous vessels are the Erica Lee, the Robert E. Lee and the Erica Lee II. Bob takes pride in his work and designs all of his vessels with comfort and safety in mind. 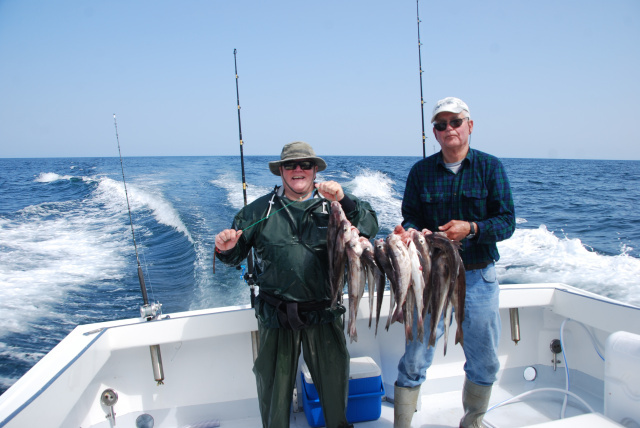 He has been operating fishing charters for over 45 years and is very skilled in locating the fish to give all anglers a great day at sea. Lee Yeomans has been involved in the charterboat/fishing business with Bob throughout their years of running various boats. Lee fished alongside Bob for tuna before it was wicked and watched whales from various boats before it was the thing to do. When not aboard the Sydney Lee, Lee can be found in the "home office", booking charters and managing the business. She also works part time at Your Choice Medical and runs a photography business with her granddaughter, Sydney Lee Jolivet. Jack Lydon (on the left) has been fishing aboard various boats with us for years and has been our part time mate during most of that time. Now that he has officially retired from his day job, expect to see more of Jack and enjoy his many seafaring stories that he has to share in only the way he can tell them. Jack is a very skilled angler and mate and very attentive to the needs of all of our anglers. He is also studying hard to obtain his USCG Captain's license. Wesley Falzarano has been a mate on the Sydney Lee for the past 3 years. We have known Wes since the day he was born and can attest to all the skills he learned from his dad, Al Falzarano aboard the African Queen. Wes is very attentive to untangling lines and baiting hooks and gaffing your prized catch. Misty, our mini schnauzer is Bob's best friend and loves to go fishing with him whenever she can.